For-Sale-By-Owner (FSBO) Lawyer | We Create Solutions. Call us. Drafting your own contract to buy or sell real estate is tricky business. General internet forms are available, but there are many Virginia specific nuances that will be overlooked unless you do this for a living. Don’t get caught short after the contract is signed. We can help. Call us. Contact us today for an Initial Consultation – We create solutions. 1. What is a For-Sale-By-Owner contract (FSBO)? A For-Sale-By-Owner contract is a contract to purchase and sell real estate when no real estate agent or broker is involved. 2. What is the benefit of using a For-Sale-By-Owner contract? If you use a For-Sale-By-Owner contract when selling your home, you will avoid the Realtor’s commission, which is typically 6% of the sales price. For instance, if you are selling a $300,000 house, the commission at 6% would be $18,000. 3. Why should I hire an attorney to draft a For-Sale-By-Owner contract? An attorney can help protect your interests by drafting a contract to fit your specific needs and goals. An attorney will be well versed regarding the legal requirements, disclosures and contingencies that are required to be included in such contracts, and will also advise you regarding the specific language that should be included to most effectively protect your interests. An attorney will also be familiar with your localities real estate practices so you are informed regarding what is standard in your area. 4. If I am presented with a For-Sale-By-Owner contract, should a hire a lawyer to review it before I sign? When conducting a For-Sale-By-Owner transaction, having an attorney review the contract could prevent potential issues, and facilitate a smoother closing. Deadlines. Review the Contract and make note of all the deadlines, and follow them. Amendments & Addendums to the Contract. Be sure your closing paralegal has copies of the ratified contract and any amendments and addendums. Home Inspection. Coordinate with the Purchaser for access to the property. Respond timely to dates and deadlines regarding negotiations for repairs requested by the Purchaser as outlined in the Contract. Complete repairs prior to closing, and provide copies of all invoices and receipts to your closing paralegal. Appraisal. Coordinate and communicate with the Lender and the Purchaser for access to the property for the appraisal. Homeowner Association Disclosure Packet. Order and deliver the HOA packet to the Purchaser as soon as possible after ratification of the Contract. Deliver HOA packet by hand, U.S. mail, or email. Keep a record of the transmittal, and provide a copy to your closing paralegal. The Purchaser can terminate the contract within three days of receipt of the HOA packet; therefore, complete this task as soon as possible. Well & Septic. Assuming the Seller is responsible per the contract for obtaining these inspections; obtain inspections within thirty days of the closing date. Coordinate & communicate with the inspectors. Deliver reports to the Purchaser, your closing paralegal, and/or the Lender as needed. Payoff of Mortgages. To make sure your closing paralegal has an accurate payoff statement, please make your final mortgage payment no later than ten business days prior to the closing date. This will allow us to make sure we are obtaining the most current & accurate payoff statement. If you have a Line of Credit loan, do not take any further advances. Finally, if you have an automatic draft from a checking account, stop it on your last payment. Termite. Assuming the Seller is responsible per the contract for the termite report; obtain the inspection within thirty days of the closing date. Coordinate & communicate with the Inspector. Deliver the report to the Purchaser, your closing paralegal, and/or the Lender. Propane/Heating Oil. If the property has a propane/oil tank, the contact normally requires that the propane/oil is to be prorated at closing. The Seller needs to obtain the calculation within ten calendar days of the closing date. Consult with the propane/oil company on their procedure to obtain the calculation and be sure to provide proof to all involved parties, including your closing paralegal. Walk Through Inspection. If requested by the Purchaser, coordinate & communicate with the Purchaser for a final walk-through inspection. Investment Property. If the purchase is an investment property, make sure that the leasing information is provided to the closing paralegal. The rents need to be pro-rated, and the security deposits and leases need to be assigned to the Purchaser. Possession of Property. The general rule to follow is that Purchasers typically are not permitted to take possession of the property until the deed has been recorded (this includes allowing their pets on the property and unloading of any moving tucks.) You will also want to coordinate the transfer of all keys directly with the Purchaser. If needed, early possession is possible, but requires a written agreement and additional expense to the Purchaser. Finally, when in doubt about something, always contact your closing paralegal. Deadlines. Review the Contract and make note of all deadlines, and follow them. Home Inspection. Conduct the inspection within five to fifteen days of ratification of the contract. Coordinate and communicate with the inspector and Seller for access to the property. Follow all dates and deadlines as outlined in the Inspection Paragraph of the Contract for negotiations regarding repairs. Loan. 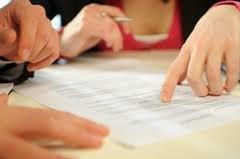 Provide all necessary documents to your Lender, including the signed Contract. Make sure the application is completed within the required time limit as stated in the Contract. Appraisal. Coordinate and communicate with the Lender and the Seller for access to the property for the appraisal. Home Owners Insurance. Obtain home owners insurance in a timely fashion. Provide a copy to your Lender and the closing paralegal. Usually the annual premium will be paid at the closing. Homeowner Association Disclosure Packet. The Seller (if the property is in a Home Owner’s Association) will provide a HOA packet. Once you receive the packet, you have three days to review the documents. If you are unhappy with any of the information, you can terminate the contract within those three days by providing written notice of termination. Well & Septic. Determine if the Seller or Purchaser is responsible for this report. Usually it is the Seller who is responsible. If it is the Purchaser, then coordinate & communicate with the Seller for access to the property. Provide the reports to your closing paralegal and Lender. These reports, if required, are provided within thirty days of the closing date. Termite. Determine if the Seller or Purchaser is responsible for this report. Usually it is the Seller who is responsible. If it is the Purchaser, then coordinate & communicate with the Seller for access to the property. Provide the report to your closing paralegal and Lender. These reports, if required, are provided within thirty days of the closing date. Propane/Heating Oil. If the property has a propane/oil tank, the contact normally requires that the propane/oil is to be prorated at closing. The Seller needs to obtain the calculation within ten calendar days of the closing date and provide proof to all involved parties, including your closing paralegal. Walk Through Inspection. Immediately arrange for a time to walk through before settlement or occupancy, coordinate & communicate with the Seller for a final walk through inspection to verify completed repairs, determine that everything is still in working order, and there are no new damages or problems. Possession of Property. The general rule to follow is that buyers typically are not permitted to take possession of the property until the deed has been recorded (this includes allowing their pets on the property and unloading of any moving tucks.) You will also want to coordinate the transfer of all keys directly with the Seller. If needed, early possession may be possible, but requires a written agreement and additional expense. Finally, as with the seller, when in doubt about something, always contact your closing paralegal. We have two offices conveniently located in Charlottesville and Palmyra (Across from Food Lion), Virginia for your real estate contract review and settlements. Please note: We don’t handle real estate settlements in our Harrisonburg office. We Create Solutions for our Real Estate Clients!